This week is marked by the end of the Mercury Retrograde period on Tuesday, a Mars/Mercury/Uranus contact on Sunday, and the full Moon late Saturday night or early Sunday (depending on where you are). On Tuesday, after three weeks of retrograde motion, Mercury begins again its apparent forward motion through the skies. This completes the time of review and revision. 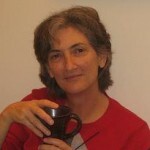 Now we can begin again with negotiations, new sales contracts, and new technology purchases. Communications should flow more easily and you will be able to begin and complete projects in a timely way again. There should be fewer delays, travel is smooth again, and machinery will function normally, especially if you took advantage of the retrograde period to refurbish, restore, or retool. Last week when Mercury opposed Uranus on Wednesday, Mercury was in retrograde motion. This week Mercury has resumed direct motion and Mars is favorably involved with the aspect. Last week I advised you to listen carefully if people came with rebellion on their minds and revise your ideas accordingly. Those same people may be back at week’s end with the same rebellious attitude. This time, hand the issue back to them and tell them to creatively resolve it. Mars will lend technical and engineering problem-solving ability and they will feel empowered by your trust in their ability to determine and implement the best solution. The full Moon on the weekend marks the annual Chinese Mid-Autumn Festival. This is one of the two biggest holidays on the Chinese calendar, and is also celebrated in Malaysia, Korea, Viet Nam, Singapore, and the Philippines. The round shape of the Mid-Autumn Moon symbolizes the family and on this holiday family members get together to enjoy the full moon, an auspicious symbol of abundance, harmony, and luck. Sons and daughters return to their parents’ houses and people travel overseas to be with their families for the holiday. 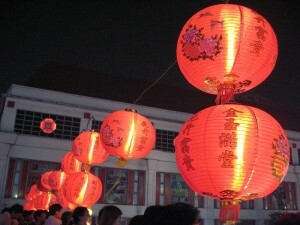 Families gather to eat fragrant moon cakes and Chinese tea, and children play with brightly-lit lanterns. After nightfall, entire families walk or picnic under the stars and gaze at the moon, thinking of their loved ones. It is also a romantic night for lovers, enraptured by the brightest moon of the year. 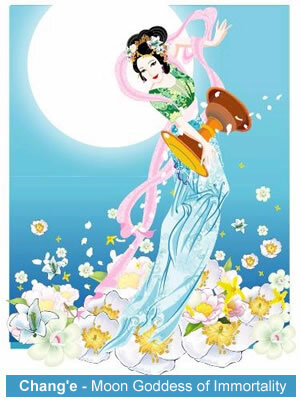 The Goddess Chang-e is worshipped on this night, an immortal who lives on the Moon. Different legends surround the Goddess, but they all suggest she drank an elixir of immortality and chose to stay on the Moon in order to be close to the people on earth, whom she loves. During the festival many people create an altar and burn incense in honor of Chang-e and other Taoist deities. 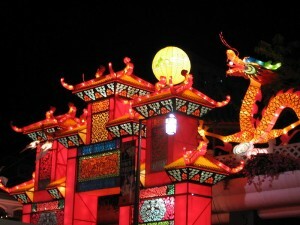 Altars honoring Chang-e are set up in the open air, facing the moon. Lotion, bath salts, make-up and other cosmetics are placed on the altar for her to bless because Chang-e endows those who worship her with great beauty. This harvest/Moon festival has been celebrated for over 4000 years. All debts and delinquent accounts are settled prior to the festival, the harvest has been collected, and it is a time for relaxation and celebration. The week leading up to the Full Moon is a wonderful time for initiating new projects and adjusting your course, especially if you recognize potential elsewhere. Keep your mind attuned to what is unfolding this week and you’ll see the opportunities that are coming your way. This entry was posted on Sunday, September 27th, 2009 and is filed under Astro4Business Week. You can follow any responses to this entry through RSS 2.0. You can leave a response, or trackback from your own site.